What are the best new broadheads of 2017? Good question. 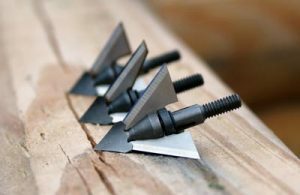 It seems like some broadhead manufacturers are sticking with their proven models, while others have experimented with new designs that might attract some attention. Fixed blade or mechanical? Based on discussions with many hunters, we think that hybrid broadheads will gain some attention in 2017. We still think that 99% of the battle is having proper archery form and a compound bow that is properly tuned. What are the best new broadheads of 2017? 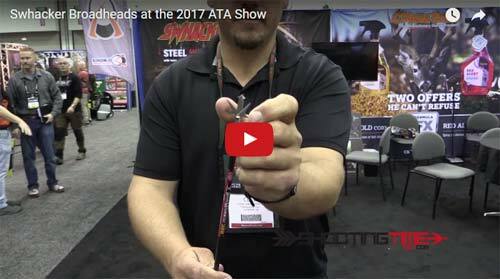 At the 2017 ATA Show in Indianapolis, we had the privilege of checking out some of newest broadheads on the market. 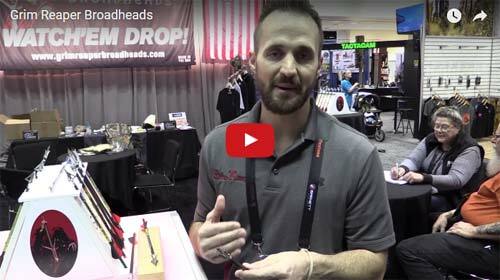 This year we believe that we actually covered almost every broadhead manufacturer at the show so have a look at our report to see if any of the new broadheads of 2017 might be the best broadhead for you. If you are in the market for a fixed blade that will fly like a field point, the Exodus by QAD may be the answer. This remarkable head has thick blades (0.040″) that are razor and I mean RAZOR sharp. To top it off, the chisel point that comes on the Exodus would make any Muzzy broadhead jealous. The QAD Exodus seems to be a perfect combination of accuracy, sharpness, and durability. For more information on this and other QAD Products, give them a visit at http://www.qadinc.com. Afflictor broadheads are a uniquely designed heads that feature a cut-on-contact point along with a drive key/bleeder blade that activates two mechanical blades. Their flagship broadhead, the K2, is less than 5/8 of an inch in flight and has two razor sharp mechanical blades that slice and dice with a 1 3/4 inch cut. 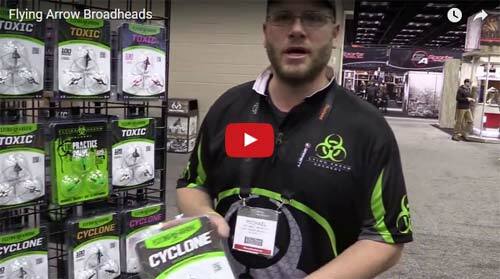 Blood Therapy OCD broadheads possess one of the most “outside the box” designs we saw at the show. This uniquely designed head was made for maximum penetration due to its minimal entry resistance and the blade’s ability to rotate upon hitting bone. 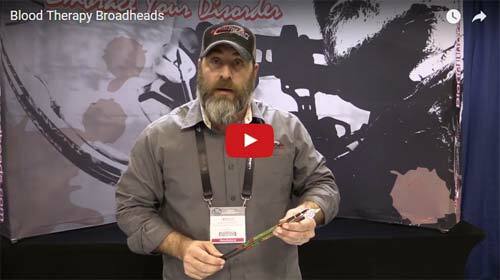 Bowhunter1 broadheads are uniquely designed “fixspandable” heads. The 100 grain Bowhunter1 Fixpandable broadheads feature a 1″ diameter nose blade followed by a pair of devastating 2″ mechanical blades. This design/combination produces effortless passthroughs resulting in massive blood trails. New for 2017 is the G5 Dead Meat broadhead. This 100% stainless steel head is design for maximum penetration and durability. This broadhead utilizes a snap lock system which produces an audible click to ensure the blades are locked securely prior to shooting. The G5 Dead Meat broadhead is comprised of 3 heavy duty mechanical blades that leave a blood draining 1.5 inch diameter hole. 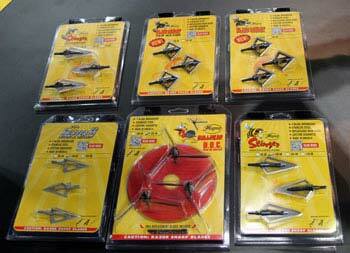 These blades are retractable which allows them to be used in states that do not allow barbed broadheads. Check here for availability of G5 broadheads. Shoot as 2 blade mechanical for a 2 inch cut or shoot as a fixed blade for a 1 inch cut. Shoot as 2 blade mechanical for a 2.5 inch cut or shoot as a fixed blade for a 1 inch cut. Shoot as 3 blade mechanical for a 1.5 inch cut or shoot as a fixed blade for a 1 inch cut. Shoot as 3 blade mechanical for a 2 inch cut or shoot as a fixed blade for a 1 inch cut. This is a 2 blade mechanical that delivers a 2 3/4 inch cut. This is a 3 blade fixed broadhead that delivers a 1 1/8 inch cut. This is a 3 blade, one piece, fixed broadhead that delivers a 1 1/16 inch cut. This is a 2 blade, plus bleeder blade, fixed broadhead that delivers a 1.725 inch cut. This is a 2 blade, one piece, fixed broadhead that delivers a 1 1/8 inch cut. 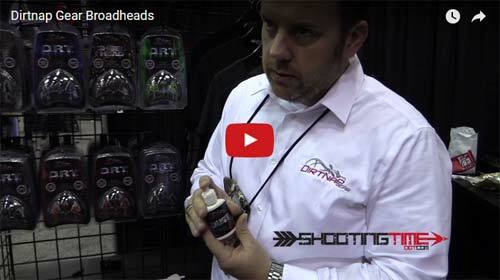 For more information on Dead Ringer broadheads, watch the video below. New from Dirtnap Gear for 2017 are the Shred Head, B.M.F. and the D.R.T. broadheads. The D.R.T. is a razor sharp fixed blade that has a weight adjustment collar allowing shooters to choose whether they want to shoot 100 grains or 125 grains of broadhead weight. This broadhead is now offered in the color blue for 2017. The Shred Head, designed for turkey hunting, is a modification of the D.R.T. broadhead that delivers more shock to turkeys due to its noncontinuous blade. The B.M.F. (really does look like a BMF to us, lol) stands for Both Mechanical and Fixed. This broadhead has added mechanical blades that open up to 1.25 inches which results in a larger wound channel. The mechanical blades operate internally so there is not a need for o-rings or bands. Muzzy’s “go to” broadhead this year is the Trocar HB and Trocar HBX. The Trocar HB is a hybrid broadhead that features a steel ferrule with chisel tip and offset blades to induce spin resulting in better accuracy. The Trocar HB has a 1 inch fixed blade cutting diameter and a 1 5/8 inch mechanical blade cutting diameter. The 125 grain Trocar HBX is designed for crossbows and delivers the same cuts as the HB. New for 2017 is the Rage Hypo Crossbow broadhead, the Hypodermic +P broadhead and the SS-85 broadhead. The Rage Hypo Crossbow broadhead possesses the qualities that made Rage famous while adding a high energy shock collar for crossbow use. Offered in 100 and 125 grain, these heads open up to 2 inches for some serious bloodletting. The Hypodermic +P features a swept back blade angle and one of the sharpest tips on the market. This two blade expandable broadhead is meant for maximum penetration and slices with a 1.5 inch cut. The SS-85 enters rage mechanicals into the 85 grain category. Who needs an 85 grain broadhead? Fans of the world’s fastest compound bows need 85 grain broadheads. Lighter tip weight raises the spine of an arrow thus letting speed chasers finally shoot a mechanical head while maintaining a perfectly spined arrow. If you’re unfamiliar with arrow spine demands, check out our article on choosing the right arrow. 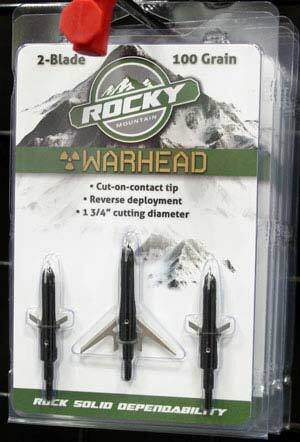 Rocky Broadheads offers a variety of heads that can get the job done. 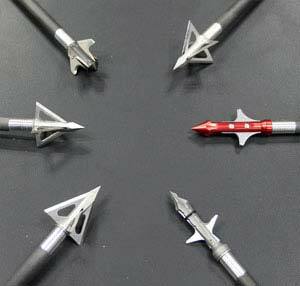 One standout is their Rocky Warhead broadhead. This Swhacker style broadhead delivers a 1 3/4 inch cut from its two expandable blades. Unlike Swhacker, these heads utilize an o-ring to retain its blades while in flight. 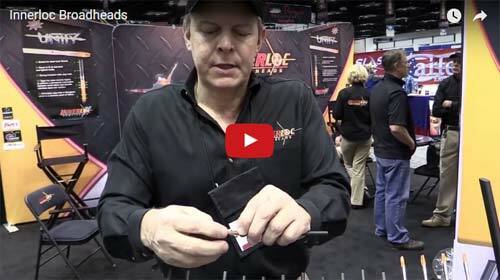 New from Flying Arrow is improvements to their already proven lineup of broadheads. They improved their bone crushing chisel tips to be sharper and harder. The Toxic broadhead blades have also been redesigned and are now a true coring blades. These blades are also now thicker and go through an improved sharpening process which means serious meat worms come next season. The Cyclone blades also went through similar improvements in the quest for more penetration and devastation. If you’re into turkey hunting, give their Tom-Bombs a look! 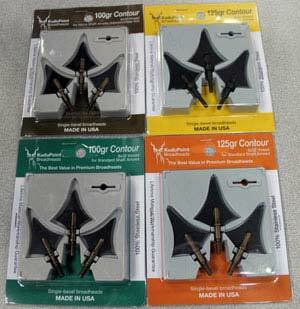 These turkey broadheads have a wicked design that will surely result in some happy Thanksgivings this year. Grim Reaper hasn’t added much to the lineup compared to 2016, but they did improve their already proven lineup. Their blades and now sharper, stronger and are now held into place by a much improved mechanism. Our favorites include heads such as the Carni-four 4 blade mechanical broadhead. This broadhead has an impressive 2.75″ linear cut with dual cutting diameters of 1.5 inches and 1.25 inches…. core some gore with these guys. The Pro Whitetail Special 2 delivers 3 inches of linear cut while slicing a 2 inch diameter hole. This head features their new PRO TIP ensuring that, as they say, “Watch’em Drop.” For the fixed blade guys, they have the Micro Hades Pro. This fixed blade head features the hypodermic like PRO TIP and improved blades which feature a back side cut ensuring that it will give industry favorites like Slick Trick a run for their money. Created by Tim Strickland of Strickland’s Archery is the Helix Broadhead. This uniquely designed head looks like it came off the table of a samurai blacksmith. It features a blade that is single beveled which helps to induce spin to the broadhead adding stability to the arrow’s flight. This design also lets the broadhead spiral it’s way into the animal and enhances bone penetration leaving the hunter with extreme penetration. After wowing us last year with the shapeshifter, Innerloc did it again this year with their fixed blade broadheads that feature their B.A.T. technology. This Blade Alignment Technology allows hunters to align their broadheads to be perfectly inline with their fletchings which will greatly influence proper arrow flight, increase consistency/accuracy, and will inevitably result in greater harvesting success in the field. A couple of our favorites are the Carbon Tuner and the Slice lineups. Both of these feature the B.A.T. technology and deliver a 1 1/16 inch cut. Innerloc also has a nice lineup of expandable broadheads and bowfishing points. KudoPoint broadheads are cut-on contact fixed blades that are 100% stainless steel. These 0.050″ thick meat dicers off a sleek profile and are incredibly durable due the blade and the ferrule being permanently bonded. They are offered in 100 and 125 grain weights. 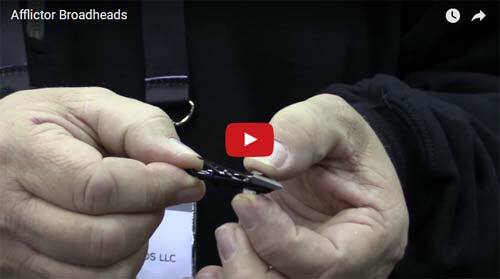 New from Magnus is the Deep Six Stinger broadhead. With a 1 1/16″ cut, this broadhead is tapered for an exact fit with Easton micro diameter shafts for cleaner and deeper penetrations. Also new for this year is the Deep Six Stinger Buzzcut. Also designed for the Easton micro diameter shafts, this 1 1/16th of an inch cutting broadhead incorporates chiseled serrations for more effective vital organ destruction. Maxone’s go to for 2017 is the MX1 solid tip 100 grain broadhead. This broadhead feature a needle sharp tip and is rear deploying via a blade slide channel. Fully deployed, the MX1 broadhead delivers a 2 inch cut ensuring mega-blood trails. 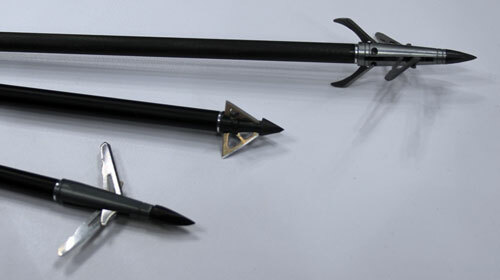 Maxone also features the MX4 fixed blade broadhead. 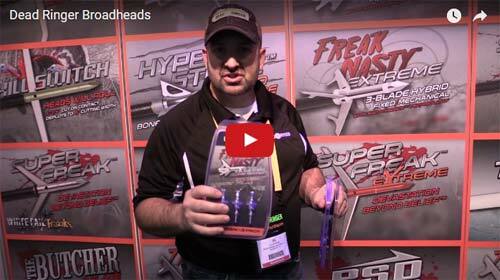 These heads are CNC’d out of high stainless steel blades and offer a 1 1/16″ cut. Most notable from NAP this year is the Spitfire Doublecross broadhead. This American made broadhead utilizes 4 blades that deploy in two stages. The front blades deploy to unleash a 1 7/8 inch cut while the middle bleeder blades add a 1 1/8 inch cut. This four way cut ensures that no matter what orientation the broadhead is in during impact, the blades will ultimately do serious damage. With all the cookie cutter broadheads on the market, it was nice to see a little change at the Red River Broadhead booth. These uniquely designed broadheads grabbed out attention and we think they should do well in 2017. Our favorite was the 4 blade Cross Cut broadheads. These razor sharp four bladed heads deliver 2 3/4 inches of total cutting surface and can flex out of the way to maneuver around bone. They also offer the R1 which possesses a four axis cut. The total cutting surface of the R1’s blades is 2 1/2 inches. This design is not only outside the box, it cut the box in half. Fixed blade or mechanical? Screw it let’s do both with the Slash Inset Blade Arrows. 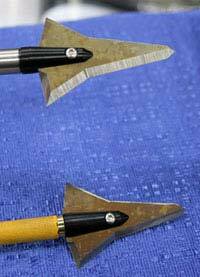 These broadheads are part broadhead and part arrow. While shooting an animal with this system, the fixed blade broadhead enters the animal and then the two blade mechanical deploys to pick up the scraps. This broadhead/arrow system has 5 blades with a total cutting surface of over 5 inches resulting in a 275% larger wound channel than the typical broadhead. New for 2017 from Slick Trick are the Raptortrick, Standard Pro SS, Magnum Pro SS, Vipertrick Pro SS, and the Riptrick broadheads. The Raptortrick is an all steel mechanical broadhead that offers a 2 inch diameter cut from its internal deploying blades. With its 4 edge bone splitting tip, this broadhead is sure to do some damage. 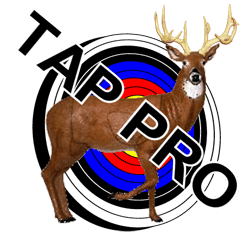 The Standard Pro SS, Magnum Pro SS, and the Vipertrick Pro SS are all stainless steel broadheads that offer different blade configurations and different cutting diameters. The Riptrick is a unique cone point broadhead that is a small game animal’s worst nightmare. The Riptrick’s design, along with it’s 7/8 inch cut, will impart demobilizing destruction to all critters in it’s way. New for 2017 is the Swhacker Stainless Steel broadhead. This 100 grain two blade expandable head is made of 420 stainless steel and opens up to 1.5 inches for some serious internal cuts. The blades are now single beveled resulting in better corkscrew penetration through it’s intended target. This new design also has a razor sharp cut-on-contact tip, utilizes an o-ring instead of a shrink band, and out-penetrates all other swhacker broadheads by 25-30%. For more information visit https://www.swhacker.com/. 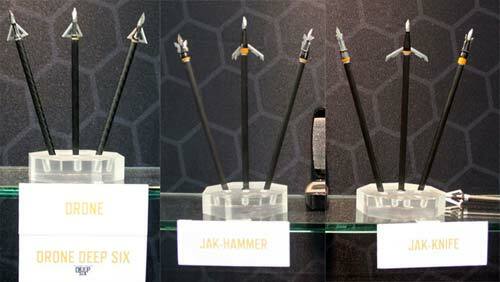 Some of Wasp Archery’s products for this year include the Drone, the Jak-Hammer, and the Jak-Knife broadheads. The Drone fixed blade is now offered for Deep Six arrows and delivers a 3 bladed 1 1/8 inch diameter cut. The Drone broadheads stainless steel ferrule along with its chisel point are the perfect recipe for excellent penetration. The Jak-Hammer and Jak-Knife models are front deploying mechanical broadheads that offer a 3 blade, 1.5 inch diameter cut (Jak-Hammer) and a 2 blade, 2 inch diameter cut (Jak-Knife). Hi! 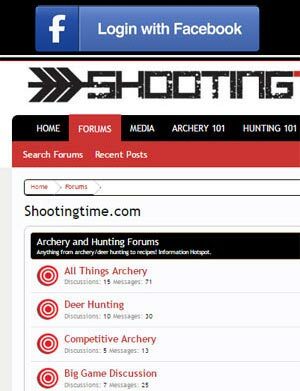 Can you recommend a broadhead for me? I have a 24.5 draw length and have draw weight of 50lbs. I use a Mathews Jewel (not sure if it matters). Thanks! Since your setup is a little slower than most, I would stay away from mechanical broadheads. Look at slick tricks, QAD Exodus, or “tooth of the arrow” for a good quality, smaller profile broadhead that will give you the best penetration. Good luck. Thanks! Which one of these can fly like a field point? Either one will fly well as long as your bow is tuned. Good luck!